​Who says you can't have it all? Here is the compendium of Roy's recorded work - ten CDs and three full-length DVDs in all. 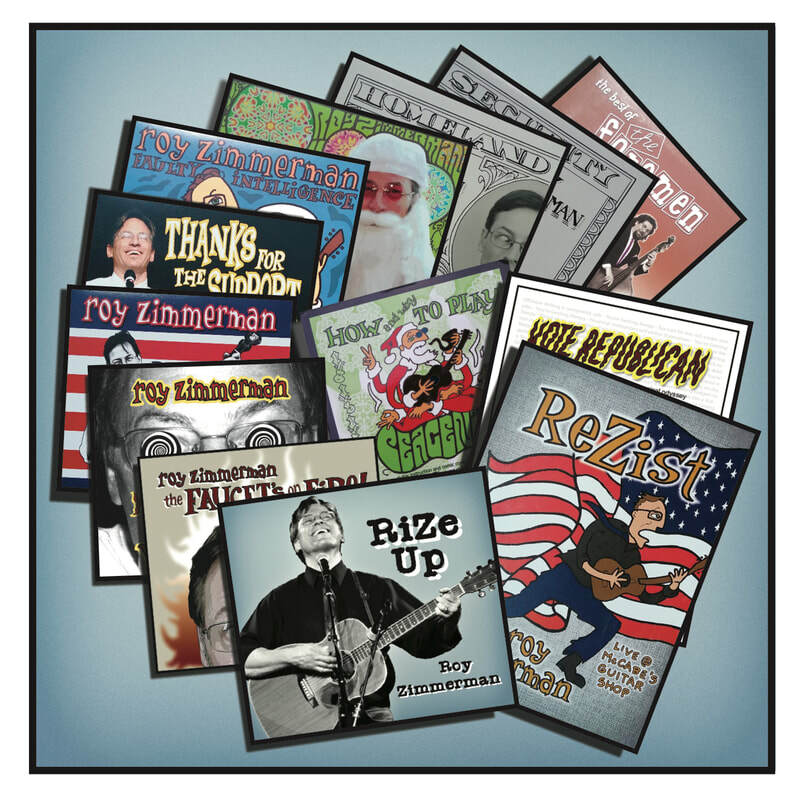 It's all nine CDs Roy has recorded as a solo artist from the post- 9/11 double release Homeland/Security to the brand new RiZe Up, and The Best of the Foremen CD representing a decade of work before that. Plus the ReZist DVD, a complete live show on video, the comedy documentary DVD Vote Republican chronicling Roy and Melanie's 50-state tour and guitar instruction and comic commentary on the How and Why to Play PeaceNick DVD. A completist's delight!